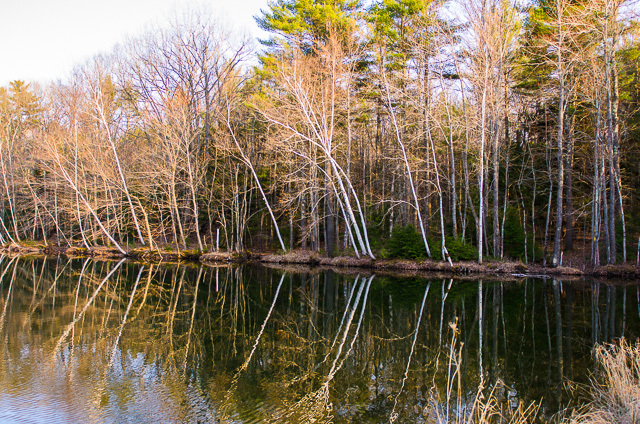 We had a chance to check out the no name pond this past week. There was a light wind and this reduced the drama from the reflection patterns I could capture. It takes persistence and luck to get the desired image sometimes. 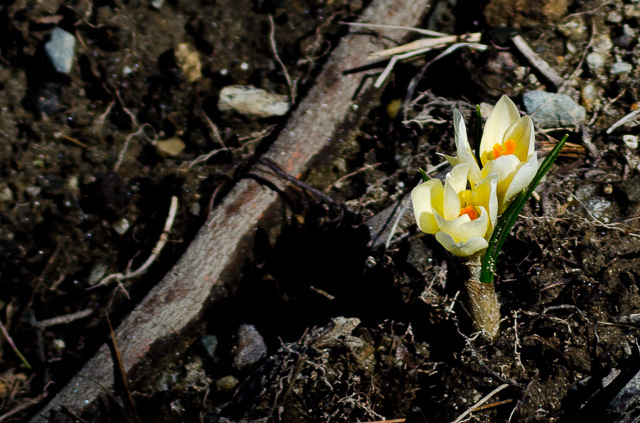 The signs of springtime are coming grudgingly in central Maine. This is a first-time blooming of a bulb planted last fall. 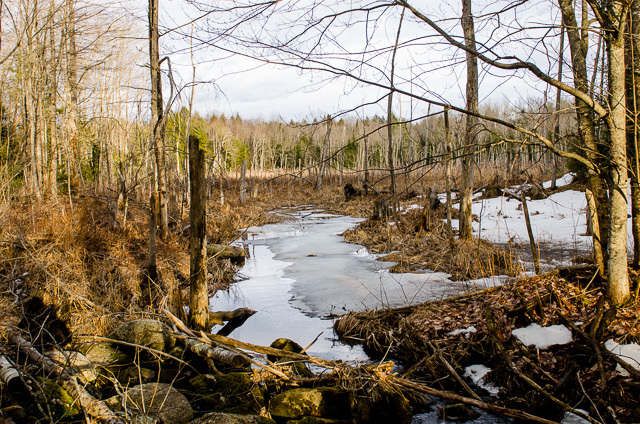 This is the late winter, early spring view of the beaver bog from the beaver’s primary dam site. The beavers have departed long ago but their bog lives on.